We make healthy, all-natural pet treats for dogs, cats and horses using consumable ingredients. We carry high quality holistic, traditional, and raw dog and cat foods. Please call for more information. Our Pet Spa offers full service grooming and custom tubs for self serve dog wash.
You can conveniently and securely shop online even phone in, or mail order your pet needs. You can unsubscribe from this email list at any time. 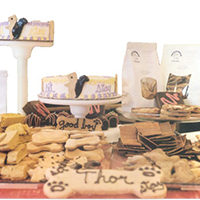 Petlicious® Dog Bakery's policy is to not give or sell any information obtained through our website. Notices will be sent out as events are scheduled or promotions and discounts are offered. You can unsubscribe from this email notice at any time.